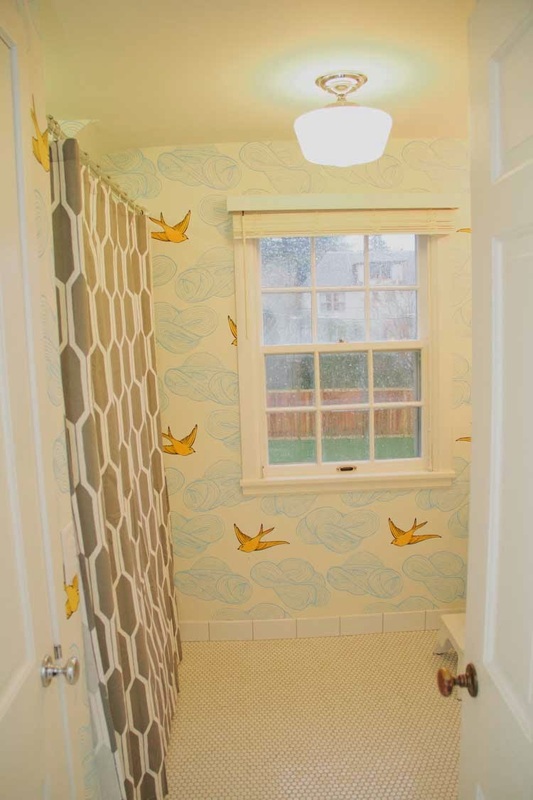 A friend of mine recently purchased a CHARMING home in a super quaint Edina neighborhood. While the home had a lot of charm, it felt a little old. This said friend is not only an amazing business woman, (owning not one, but TWO up and coming yoga studio's), but her sense of style is out of this world! So when she asked me to help her design her new home, I jumped at the chance! Most of the rooms didn't need a major overhaul, (just paint, and light fixtures). This room, however, needed more than that. 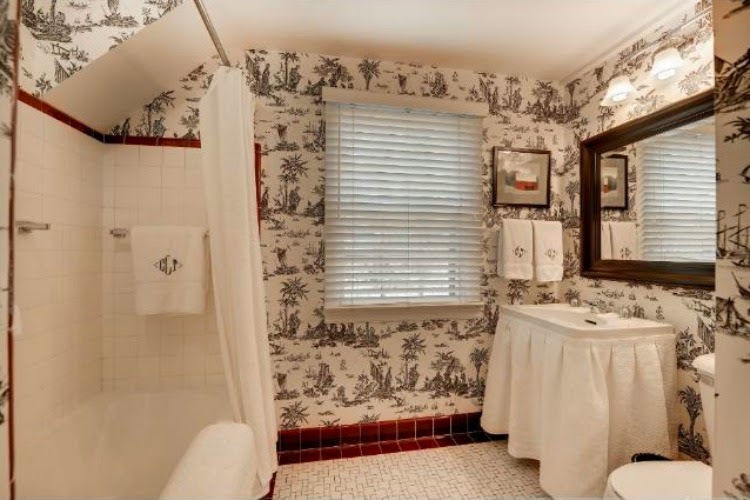 It's toile wallpaper, red tile accents, and white tile needed a FULL facelift. 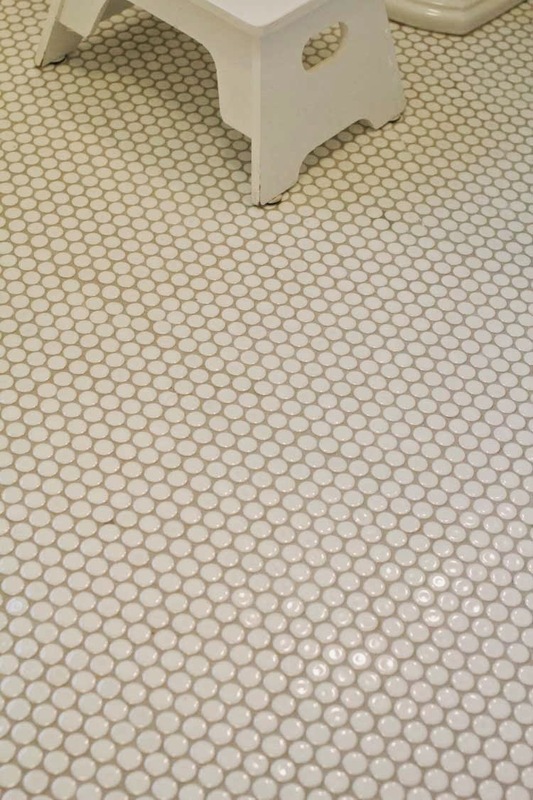 The outdated flooring was torn out and replaced with a classic white penny tile with grey grout. 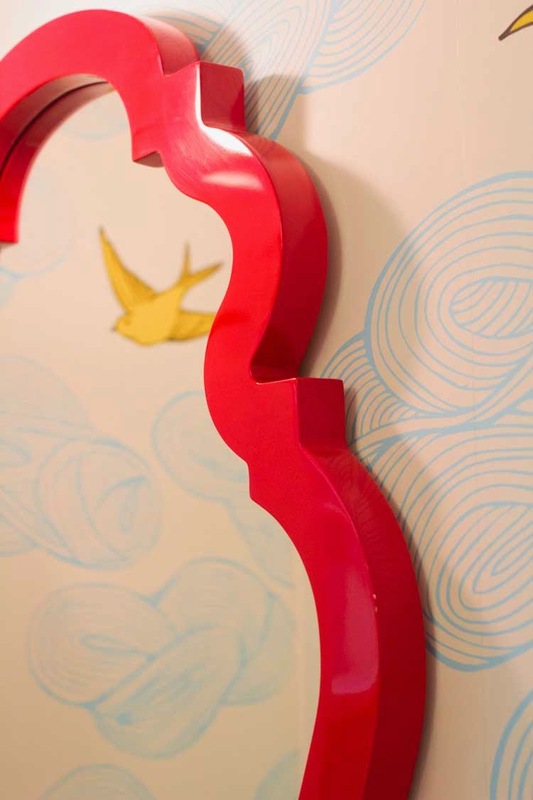 Since this is a kids bath, it needed to be less grown up and more kid-like. 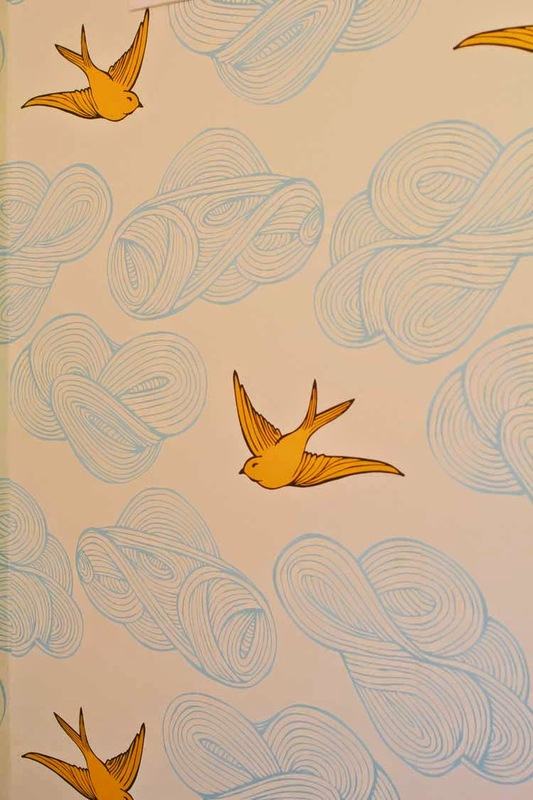 So, the outdated black and white wall covering was replaced with this super fun and playful yellow birds with clouds wallpaper! We found the perfect mirror. 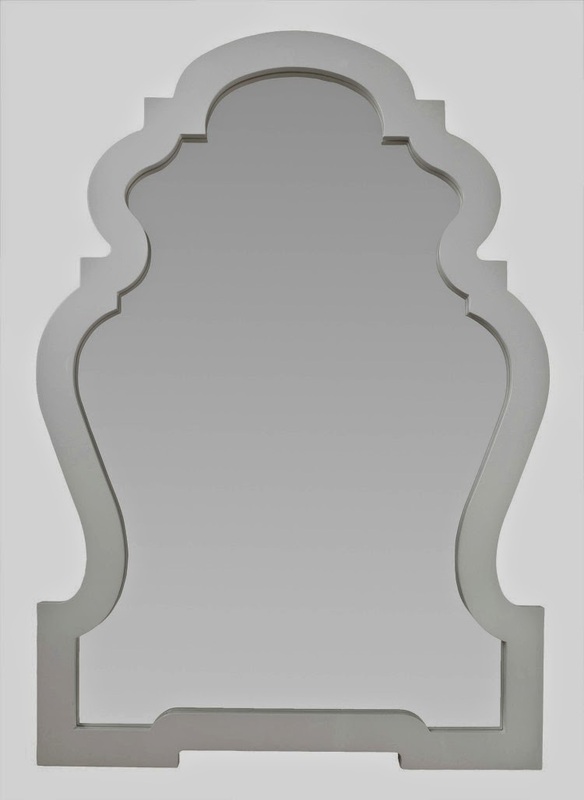 Well, the shape of the mirror was perfect, but the color was not. Thankfully, my client isn't afraid of color, so we customized it. 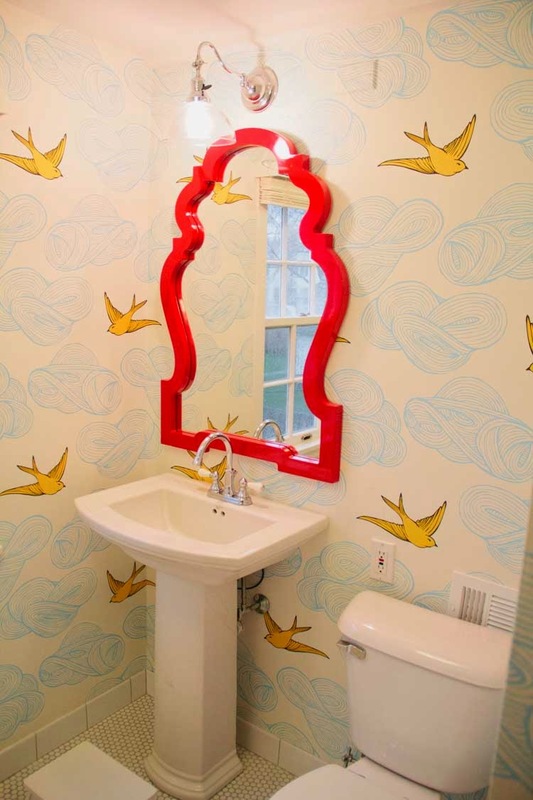 The color was chosen: (firecracker) by Sherwin Williams to be exact, and the mirror was custom painted. The light was replaced to a simple, clean fixture and the room began to come together beautifully. And since it was a such a dreary day outside when we took pictures of this room, I have to say...This room would make me happy even when skies are grey! Like what you see? Follow us on Instagram and "like" us on Facebook. We'd love to work with you!